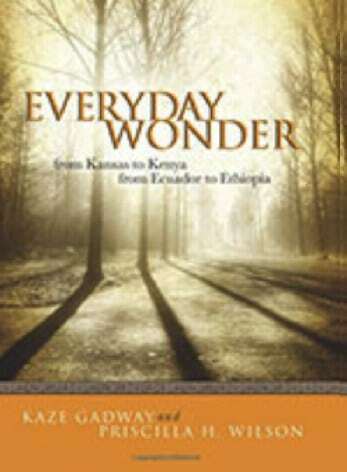 In a mid-year note to several friends this week I suggested the short stories in Everyday Wonder, from Kansas to Kenya, from Ecuador to Ethiopia for some fun reading. I sang my way to faith. Robed in short white cassocks, we seven-year-olds resemble angels in our sanctuary’s balcony. Our choir director, Mary invites us to join the Adult Chancel Choir in singing the last verse of “Beautiful Savior.” Maybe it is singing with those mature voices, or listening to the solo verse. Maybe it is simply our adoration of Mary who treats each one as a real human being. Every Sunday the church choirs from first graders through adults fill the U shaped balcony. I show up, put on a choir robe, unearth the right piece of music and parade up the curved narrow stairway to the balcony with the other children for Sunday worship. The magic of those early choir moments sets me on a path of sustaining faith. Once? Every man? That word “man” must mean “human being.” But what about the word “once?” I encounter life decisions over and over again. The harmonies and words in song become my prayer. While listening or singing, I let the Spirit do the praying in me. Would I be a Christian without the words and music that reinforce my faith? When singing I remember we are to love each other as we wish to be loved; to give our lives to have life; to clothe the naked, feed the hungry, comfort the poor. These things give meaning to my life. During my young adulthood our church’s minister of music organizes a class that expands my world. As we learn to sing both the Brahms and Verdi Requiems, I am filled with wonder. What suffering, majesty, wonder and pain in life have I ignored? In the early 60s, I spend a week with 5,000 women in Purdue at the National Presbyterian Women’s Conference. I listen to music and speakers throughout the conference. The Civil Rights music raises new questions about injustices. I hadn’t thought about the meaning of the words. Pronouncing the words and singing them on the right pitch – was there more to think about? As we work on the meaning of the text the sound transforms those “impossible” German words. Now, months after my husband’s death, our choir is preparing Brahms Requiem in English to sing on Palm Sunday. Twice before I’ve had the privilege of singing this incredible work. I’ve not paid much attention to the words before. As I journey with the text Brahms chose for this Requiem – through grief and mourning to hope and joy my nearly fifty-nine years with Rodney swirls through my being. Singing has always been a joy, but now every word comes with a sacred message. Each rehearsal and performance is a time of standing in the holy. This music is driving me to not give up, but to relate to others who are grieving. My care can encourage others. Gratitude for this amazing experience fills my soul. The poetry in music throws open the door of wonder for me over and over again. Singing is an act of memory; it reminds me of what life is about.